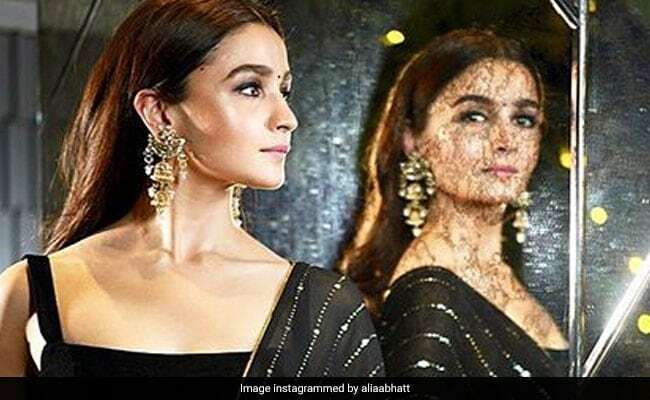 Bollywood actor Alia Bhatt has millions of fans around the world and just how popular she is among Bollywood lovers is also reflective in her followers on Instagram. The Raazi actor reached a whopping 25 million followers on Instagram recently and to celebrate this milestone, she held an impromptu Q and A with her followers on the platform. During the Q and A, she answered a number of questions posed to her by her followers, who asked her numerous things with subjects ranging from her future projects to her favourite foods and even beauty tips. When asked about her favourite Gujarati food, Alia answered without any hesitation, "Khandvi." Well, we're with you there Alia! Some followers also asked Alia Bhatt her diet and fitness routine, which she said will take a lot of time. But there was one particular question that the beauty gave a definitive answer to - the secret to her glowing skin. 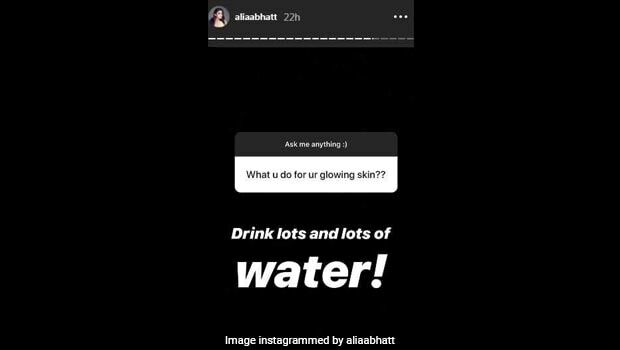 Alia Bhatt's diet tip for a glowing skin is one that many beauty and health experts will also give you and one that should be followed in order to stay and look healthy - "Drink lots and lots of water!" Drinking adequate water is important to keep the skin hydrated and to flush out toxins from the body. It's often advised to drink at least eight glasses of water every day, in order to maintain a healthy skin. Water is important for the smooth functioning of a number of processes including digestion, circulation, absorption and excretion. If you are not drinking enough water, your skin will turn dry and flaky, and it will be more prone to spots and wrinkles. Just like all organs of your body need water to function properly, the skin also needs it. 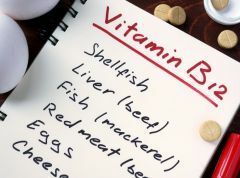 Drinking optimum water can regulate a number of skin functions like preventing sun damage by synthesising vitamin D, besides improving hydration levels of the skin. Moreover, water is also crucial to maintain the plumpness and elasticity of your skin. In an interview with Vogue magazine, Alia Bhatt had revealed that she trusted multani mitti, or Fuller's Earth, for her skin and also used ice to reduce early morning puffiness in her face. 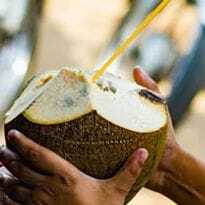 She also revealed that she consumed alkaline foods, in order to reduce acidity in her body and drank water before and after her meals. Now, these are some steal-worthy tips, wouldn't you say?